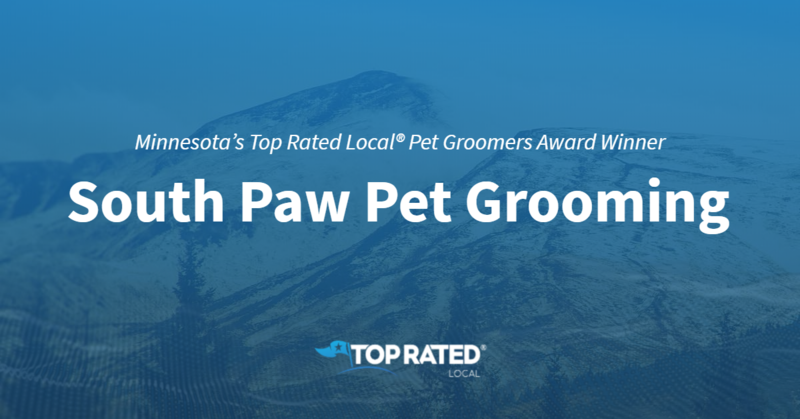 Top Rated Local® is pleased to announce that South Paw Pet Grooming is an award winner for pet groomers in 2019. If you are looking for a pet groomer that will give your pet the individual attention it deserves, look no further than this award-winning company! South Paw Pet Grooming has received many overwhelmingly positive reviews across four different verified sites with an average rating of 4.80 stars, earning them an impressive Rating Score™ of 96.04 and a 2019 Top Rated Local award for ranking as one of the top five pet groomers in Minnesota! “This place is the best. It’s clean; the staff is friendly, and their prices are reasonable. We simply do walk-in nail trims and always get in right away. HIGHLY RECOMMEND.” – S.J. It is because of excellent reviews like this that South Paw Pet Grooming is now able to call themselves a Top Rated Local award winner! We were excited to learn all about how South Paw Pet Grooming has been able to build such an impressive reputation, so we sat down with the owner, Nicholas Taylor. With as impressive a reputation as South Paw Pet Grooming has managed to create, it came as no surprise to us that their business has been 100-percent referral based. Congratulations to South Paw Pet Grooming for being a 2019 Top Rated Local award winner, and special thanks to Nicholas for taking the time to speak with us! 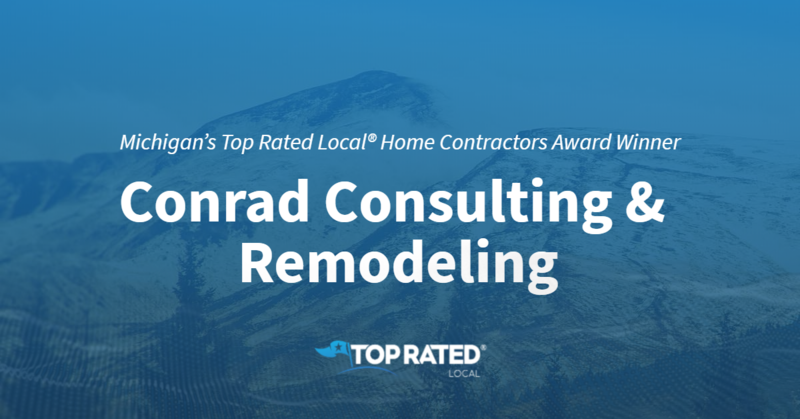 Top Rated Local® is pleased to announce that Conrad Consulting & Remodeling is an award winner for home contractors in 2019. If you are looking for a home contractor that will always do right by the customer, look no further than this award-winning company! Conrad Consulting & Remodeling has received many overwhelmingly positive reviews across six different verified sites with an average rating of 4.87 stars, earning them an impressive Rating Score™ of 98.73 and two 2019 Top Rated Local awards for ranking as one of the top 100 businesses and one of the top three home contractors in Michigan! “We needed some light chimney repair and were given the name of this excellent contractor. He communicated with us through the whole process, was prompt, and did what he said he would do. The workmen were responsible and careful with no residual damage or debris. The business scheduled us very rapidly with no wait time. 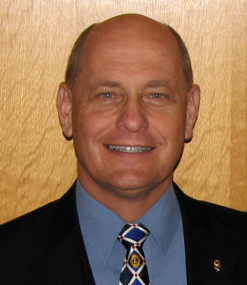 Overall, we were completely satisfied, and have given his name to others.” – M.M. It is because of excellent reviews like this that Conrad Consulting & Remodeling is now able to call themselves a Top Rated Local award winner! 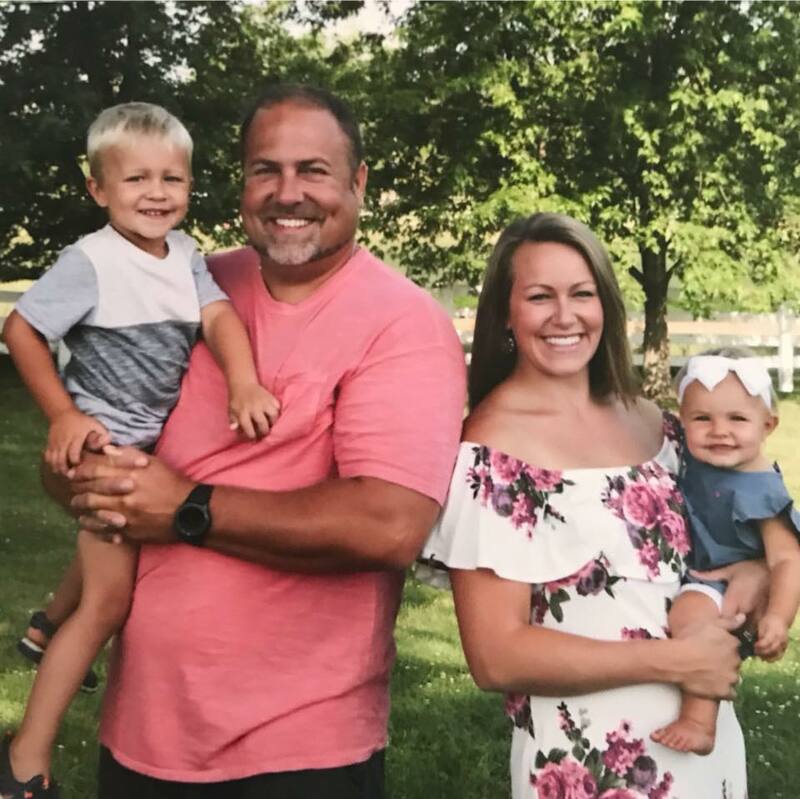 We were excited to learn all about how Conrad Consulting & Remodeling has been able to build such an impressive reputation, so we sat down with the owner, Chris Conrad. Conrad Consulting & Remodeling has managed to build an impressive reputation, so we were excited to learn about some of the ways they have marketed themselves over the years. It came as no surprise that community involvement has been an important part of their business. They participate in community events, including 5k runs. As a result, word of mouth has been their greatest source for new business. Congratulations to Conrad Consulting & Remodeling for being a 2019 Top Rated Local award winner, and special thanks to Chris for taking the time to speak with us! 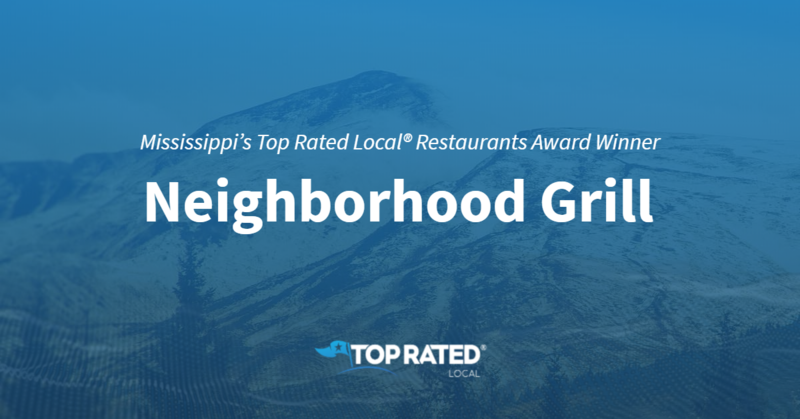 Top Rated Local® is pleased to announce that Neighborhood Grill is an award winner for restaurants in 2019. If you are looking for some phenomenal home-cooking, look no further than this award-winning company! Neighborhood Grill has received many overwhelmingly positive reviews across five different verified sites with an average rating of 4.75 stars, earning them an impressive Rating Score™ of 97.53 and two 2019 Top Rated Local awards for ranking as one of the top 50 businesses and one of the top three restaurants in Mississippi! “When I get a chance, I love going to this restaurant. [They are] nice people, [and offer] good service. [This is a] great family atmosphere and [has] good home cooking. This is one of my wife and I’s favorite places to go for breakfast. Thank you, Steve, Sandy, and Neighborhood Grill. You’re doing an incredible job. Keep up the good work! !” – J.B. It is because of excellent reviews like this that Neighborhood Grill is now able to call themselves a Top Rated Local award winner! We were excited to learn all about how Neighborhood Grill has been able to build such an impressive reputation, so we sat down with the owner, Sandy Stewart. The first thing we wanted to know was what it is that makes Neighborhood Grill stand apart from their local competitors. We learned all about the great food they offer, like the fried green tomatoes and the pork brains and eggs. The way they serve is important to them, and they believe in living by their Christian faith, treating all customers with the utmost respect. Congratulations to Neighborhood Grill for being a 2019 Top Rated Local award winner, and special thanks to Sandy for taking the time to speak with us! Top Rated Local® is pleased to announce that WSU Child Development Center is an award winner for child care providers in 2019. If you are looking for a reliable and compassionate child care provider, look no further than this award-winning company! 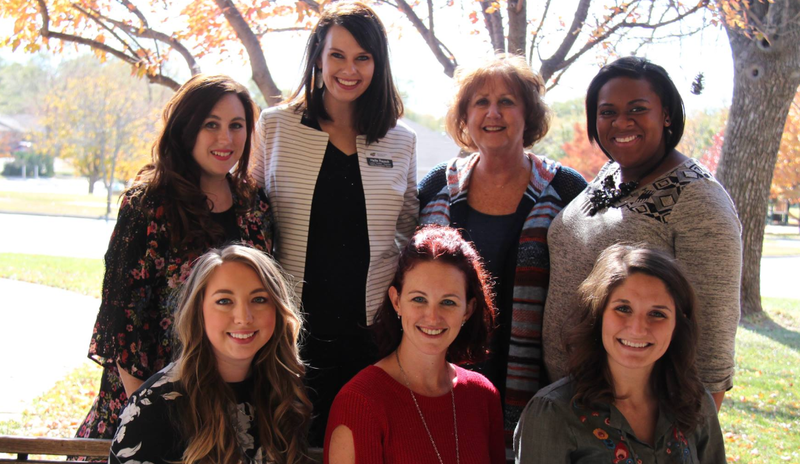 WSU Child Development Center has received many overwhelmingly positive reviews across multiple verified sites with an average rating of 4.91 stars, earning them an impressive Rating Score™ of 93.13 and a 2019 Top Rated Local award for ranking as one of the top 10 child care providers in Kansas! “I love this place! I feel very comfortable leaving my son there. I love how organized and clean they are. They do fun activities and cute art projects all the time, and I get daily emails telling me all about my child’s day. All the staff is friendly and knew me before I knew them.” – A.K. It is because of excellent reviews like this that WSU Child Development Center is now able to call themselves a Top Rated Local award winner! We were excited to learn all about how WSU Child Development Center has been able to build such an impressive reputation, so we sat down with the Director, Jillian Hoefer. With as impressive a reputation as WSU Child Development Center has managed to build, it came as no surprise that their business has grown partially in thanks to word of mouth. They also have a presence on social media platforms, like Twitter and Facebook. Congratulations to WSU Child Development Center for being a 2019 Top Rated Local award winner, and special thanks to Jillian for taking the time to speak with us! Top Rated Local® is pleased to announce that SuFu Cruise is an award winner for limousine services in 2019. If you are looking for a reliable and affordable limousine service, look no further than this award-winning company! SuFu Cruise has received many overwhelmingly positive reviews across multiple verified sites with an average rating of 5.00 stars, earning them an impressive Rating Score™ of 94.00 and a 2019 Top Rated Local award for ranking as one of the top three limousine services in South Dakota! “I highly recommend Justin with SuFu Cruise! He was super easy to communicate and work with, and helped make our wedding day run smoothly! His bus is extremely clean and comfortable, and he did everything he could to make sure our ride was enjoyable! Everyone looking for transportation for their wedding or special event should definitely check out SuFu Cruise! You won’t regret it! !” – T.P. It is because of excellent reviews like this that SuFu Cruise is now able to call themselves a Top Rated Local award winner! We were excited to learn all about how SuFu Cruise has been able to build such an impressive reputation, so we sat down with the owner, Justin Wallin. The first thing we wanted to know was what it is that makes SuFu Cruise stand apart from their local competitors. Not only is Justin running a business focused on honesty, but also one that cares about the customer experience. Justin takes care of his customers and is incredibly communicative. SuFu Cruise has managed to build such an incredible reputation that we were keen to know all about the ways they have marketed themselves over the years. We learned that they are quite active in their community, where they give away gift certificates at silent auctions and donate tickets for sporting events. He is proud that he can provide the area with safe, fun, reliable, and affordable transportation. Congratulations to SuFu Cruise for being a 2019 Top Rated Local award winner, and special thanks to Justin for taking the time to speak with us! Top Rated Local® is pleased to announce that ALIAS Detective Agency – Private Investigator is an award winner for private investigators in 2019. If you are looking for a quality private investigator, look no further than this award-winning company! 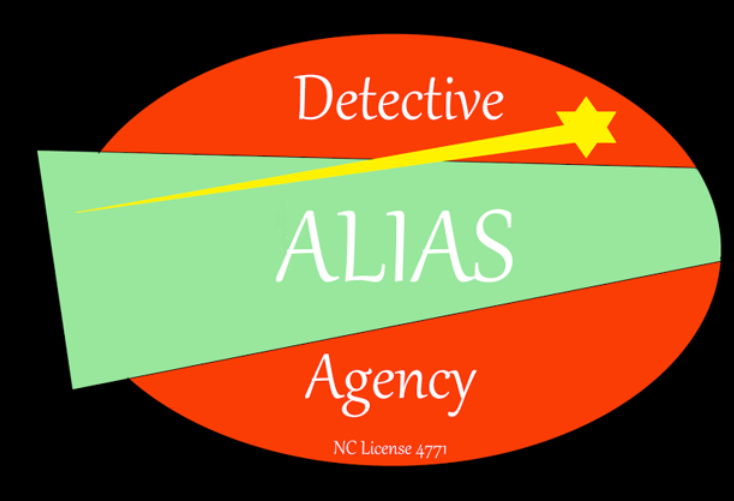 ALIAS Detective Agency- Private Investigator has received many overwhelmingly positive reviews with an average rating of 5.00 stars, earning them an impressive Rating Score™ of 87.00 and a 2019 Top Rated Local award for ranking as one of the top five private investigators in North Carolina! “They went above and beyond to help me. We all know how sensitive the situation must be to reach out to a private investigator. I highly recommend ALIAS. I have a very unique circumstance, and instead of brushing me off like the others did, they cared and did what they could to assist me. Thanks again!” – E.F. It is because of excellent reviews like this that ALIAS Detective Agency – Private Investigator is now able to call themselves a Top Rated Local award winner! We were excited to learn all about how ALIAS Detective Agency – Private Investigator has been able to build such an impressive reputation, so we sat down with the owner, Jason. Congratulations to ALIAS Detective Agency – Private Investigator for being a 2019 Top Rated Local award winner, and special thanks to Jason for taking the time to speak with us! Top Rated Local® is pleased to announce that BuildBuyRefi is an award winner in 2019. If you are looking for a trusted home loan expert, look no further than this award-winning company! 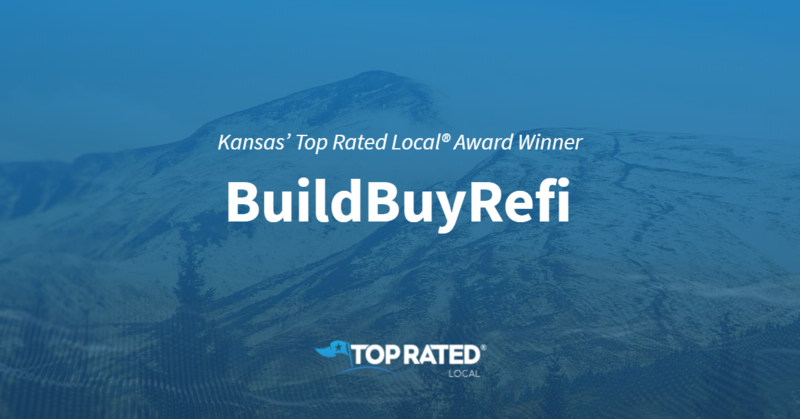 BuildBuyRefi has received many overwhelmingly positive reviews across three different verified sites with an average rating of 5.00 stars, earning them an impressive Rating Score™ of 98.00 and a 2019 Top Rated Local award for ranking as one of the top 100 businesses in Kansas! “Richie and his staff were very thorough with all my needs. They made sure everything was done quickly and correctly. They kept me informed throughout the process of my refinancing. I want to thank them all again for the hard work they did for me.” – D.P. It is because of excellent reviews like this that BuildBuyRefi is now able to call themselves a Top Rated Local award winner! We were excited to learn all about how BuildBuyRefi has been able to build such an impressive reputation, so we sat down with the owner, Richie Duncan. As a means of providing exceptional customer service, they are adamant about offering transparency to their clients. That means giving them options and as much knowledge as possible, even if that means that they end up taking their business elsewhere. We were excited to hear more about the ways BuildBuyRefi have marketed themselves in order to gain a reputation as phenomenal as they have. We learned that they do a lot of work in the digital space. Ultimately, what they work on are relationships. They develop relationships with their clients based on their services, and they build their platform from one client to the next. Congratulations to BuildBuyRefi for being a 2019 Top Rated Local award winner, and special thanks to Richie for taking the time to speak with us! 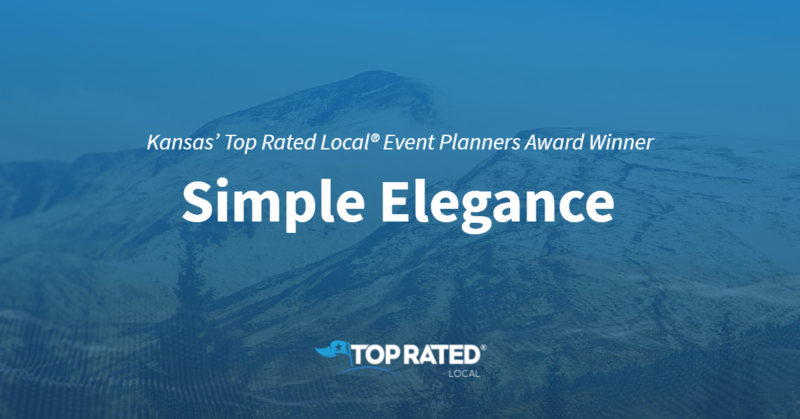 Top Rated Local® is pleased to announce that Simple Elegance is an award winner for event planners in 2019. If you are looking for an event planner that will help you to craft the event of your dreams, look no further than this award-winning company! Simple Elegance has received many overwhelmingly positive reviews across three different verified sites with an average rating of 4.96 stars, earning them an impressive Rating Score™ of 95.59 and a 2019 Top Rated Local award for ranking as one of the top three event planners in Kansas! “[They are] the best in town! This team of dedicated, focused, professionals will take the work out of event planning. It’s worth the freedom and lack of stress when you hire a planner. Ultimately, they save you time and dollars. But, saving your precious time — that’s the best part! !” – A.M. It is because of excellent reviews like this that Simple Elegance is now able to call themselves a Top Rated Local award winner! We were excited to learn all about how Simple Elegance has been able to build such an impressive reputation, so we sat down with the owner, Kindra Browne. With as exceptional a reputation as Simple Elegance has developed over the years, we were excited to hear about some of the ways they have marketed themselves. It came as no surprise that networking was a big part of their marketing strategy. They also take care of the VIP clients and vendors that get referred to them. In addition to this, they are active on social media, and are about to launch a brand new website! Congratulations to Simple Elegance for being a 2019 Top Rated Local award winner, and special thanks to Kindra for taking the time to speak with us! Top Rated Local® is pleased to announce that Lumina Gem is an award winner for jewelry stores in 2019. If you are looking for a jewelry store that will help you to find or create the piece of your dreams, look no further than this award-winning company! 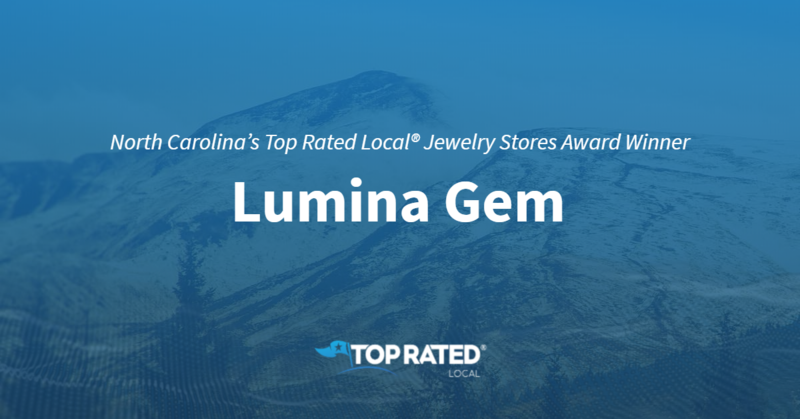 Lumina Gem has received many overwhelmingly positive reviews across five different verified sites with an average rating of 4.85 stars, earning them an impressive Rating Score™ of 98.49 and a 2019 Top Rated Local award for ranking as one of the top six jewelry stores in North Carolina! “When I began my search for the perfect engagement ring, I was a little lost. A friend suggested I go see Brad at Lumina Gem, and it was some of the best advice I ever received. I visited many times over several months and got ideas and tips from Brad, who was always patient with me and never pushy. Over that time, I researched and learned, and my vision became clear for exactly what I wanted. Then Brad helped me make it happen, assisting as I chose the perfect setting, and waiting patiently to find the perfect loose diamond. The end result was a stunning, gorgeous ring that I was proud to give to my fiance, and she loves it. I have since gone back and purchased our wedding bands as well, and the experience was just as great. [They have] high-quality jewelry with honest and patient service. I would recommend anyone looking for any type of stone or jewelry to go see Brad at Lumina Gem and not waste your time with anyone else.” – P.P. It is because of excellent reviews like this that Lumina Gem is now able to call themselves a Top Rated Local award winner! We were excited to learn all about how Lumina Gem has been able to build such an impressive reputation, so we sat down with the owner, Brad Bass. As a way of being able to best serve their customers, they make sure to always keep up with the latest technology. Because of this, they are able to quickly check-out their customers, as well as offer quick turnaround for repairs. Since timeliness is an important piece of their customer service, they always have at least one jeweler on-site. Lumina Gem has managed to build a truly impressive reputation, so we were excited to learn more about some of the ways they have marketed themselves. We learned that they have a large email following and an in-house marketing coordinator who handles their email blasts and social media. Offline, they just make sure to stay present in their community. They try to give back however they can, and will donate and sponsor local charities. Congratulations to Lumina Gem for being a 2019 Top Rated Local award winner, and special thanks to Brad for taking the time to speak with us! Top Rated Local® is pleased to announce that Anderson Eye Care is an award winner for eye doctors & optometrists in 2019. If you are looking for an optometrist that has proudly served their community for over 90 years, look no further than this award-winning company! Anderson Eye Care has received many overwhelmingly positive reviews across three different verified sites with an average rating of 4.56 stars, earning them an impressive Rating Score™ of 74.61 and a 2019 Top Rated Local award for ranking as one of the top 10 eye doctors and optometrists in Michigan! “A huge thank you to Anderson Eye Care for going above and beyond for this community. I came into the office today with a hospital patient’s glasses. The glasses had a broken nose pad, which was distracting the patient from therapy, and causing a great deal of discomfort. Although this patient was not a patient of yours, your staff was committed to providing this patient with a replacement pad, glasses case, and cleaner. Thank you for reminding us all that our jobs are so much more than the “bottom line.” You have my business any day. Thank you, thank you! Kindness…pass it on.” – A.P. It is because of excellent reviews like this that Anderson Eye Care is now able to call themselves a Top Rated Local award winner! We were excited to learn all about how Anderson Eye Care has been able to build such an impressive reputation, so we sat down with the owner, and main doctor, Dr. Gary Anderson. Anderson Eye Care has been in business for 91 years, and have proudly served many generations of families. Over those years, referrals and word of mouth have been their main source for new clients, in fact, they don’t do any other kinds of advertising. With as deep a connection as they have in their community, we also learned that Dr. Anderson participates in worldwide eye care mission trips where he takes old glasses and gift them to the needy. 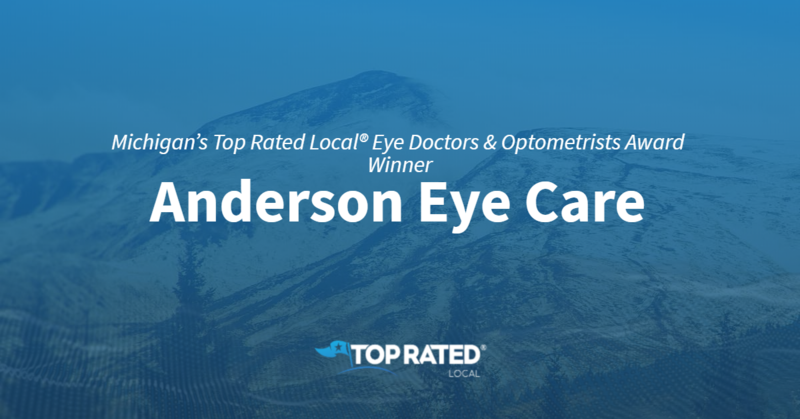 Congratulations to Anderson Eye Care for being a 2019 Top Rated Local award winner, and special thanks to Dr. Gary Andersonfor taking the time to speak with us!